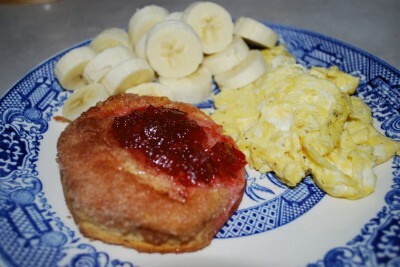 I love cooking breakfast…..I love EATING breakfast. If you don’t eat breakfast, you’re really missing out. Really. I’m not a liar. Now, I love sweets for breakfast. I am tickled pink with a bagel and banana. Barry, on the other hand, likes a hearty breakfast. If I want a hearty breakfast, I cook it for dinner. 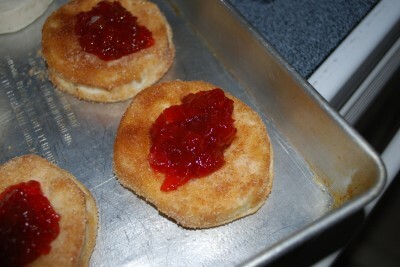 Biscuits are usually on the menu – homemade or canned. We like them both…..do you know what makes a biscuit even better? Cinnamon Sugar. Doesn’t cinnamon sugar make everything better? Preach it! 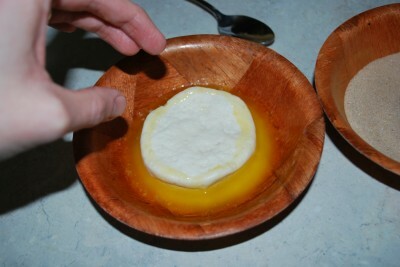 Anyway, I came to a happy medium with this recipe – I had my sweets and I served it with eggs so Barry would be happy. I’m a peace keeper. This recipe is so easy you’ll start making it all the time. Whew! 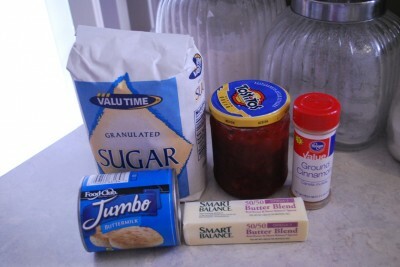 Pretty simple stuff here: canned biscuits, sugar, cinnamon, jelly, and……butter. Yeah, come on. You knew that was coming. Cinnamon sugar needs butter. They should get married. 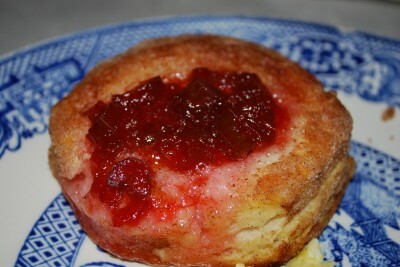 Oh, and that jelly is actually my mom’s Rhubarb Strawberry Jam. You can use whatever jelly/jam that you like for this one. Just pick out whatever is in the fridge. Apple cinnamon would be DELISH! Too bad I didn’t have any. Poor me and my butter are all alone. Get a little bowl and mix your cinnamon and sugar together. Yum! If cinnamon sugar is ever in a recipe you know good things are going to happen. 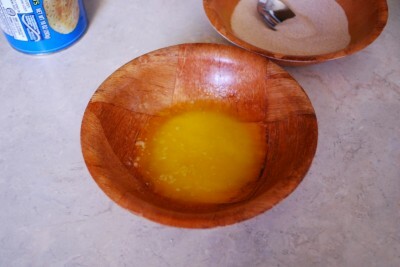 Grab another little bowl and melt your butter in it. Make sure it’s microwave safe. Sometimes I get distracted and microwave things that aren’t safe…..do you know what happens? It burns holes in them. Yeah, I’ve done it. Only once….twice…..okay, so it’s more than that! Gosh! Take your canned biscuits and dip the sides in the melted butter. 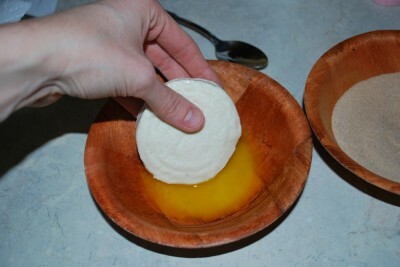 Now, dip the top in the butter too. Don’t worry with the bottom. It’s going to be on the bottom (duh!). Just like this biscuit will be on your bottom when we’re done eating. Now, everything you dipped in butter needs to be rolled in the cinnamon sugar. Roll it around and coat it really good. Don’t be afraid to really lay it on thick. I promise, you’ll thank me later. Oh, and have I mentioned that I hate flash photography? I need to quit cooking when it’s dark outside. Put your coated biscuits on a greased pan. We don’t want them to stick…..that would be a very sad biscuit catastrophe. Can you tell by looking at this biscuit that good things are going to happen? The butter is going to help the sugar get really nice and crispy. It’s magical. It’s Disney World! Take a spoon, or your finger if you so desire, and poke a crater down in the middle of each biscuit. Don’t go all the way through, but make it pretty deep and wide. The wider it is, the more jelly you’ll use…….as Pioneer Woman says, “If some is good, more is better.” Preach it! Fill your holes with your chosen jelly. It’s going to ooze out when it cooks, so don’t worry about being overly neat. Oozing food is almost always a good thing. I’m sure there is an exception to that rule. Ew. Don’t think too hard on that like I just did. You might gag. Bake them for about 15 minutes or until the biscuits are done. 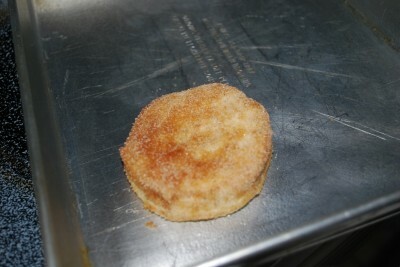 See how nice and crispy the sugar got? Oh man. See, oozing jelly is good here. Except it’s jam…..sorry. It’s almost like a doughnut…..but better. Okay, so not exactly BETTER, but it’s right up there. Try some. Aren’t they easy? I apologize to your bottom. 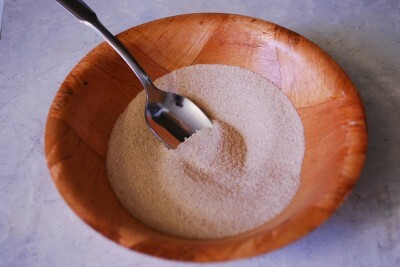 In a small bowl, combine your sugar and cinnamon. Dip top and sides of biscuits in the butter and then roll in cinnamon-sugar. Place biscuits on greased baking sheets. 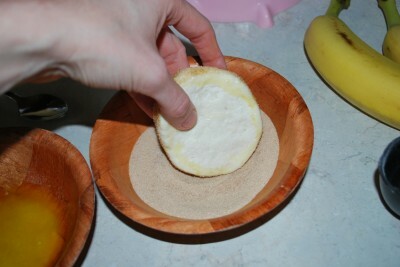 With a spoon or your finger, make a crater in the middle of each biscuit. Don’t go all the way through. Fill the crater with your jelly/jam. Bake at 375 degrees for 15-18 minutes or until biscuits are browned. Cool a little before serving or the jelly will burn the dickens out of your mouth. And I thought I was the only person that dipped their biscuits in butter before baking them! Frozen ones are great like that too. 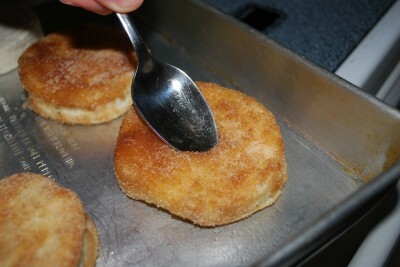 I’ve never rolled them in cinnamon sugar though, hmmm, I’m thinking breakfast in the morning!